Are you a snap-happy Android user, taking photos on nights out, day trips, and family gatherings? Losing your mobile snaps would be quite a disappointment should you lose your phone, so the smart option is to back them up. Various options are available for this, from manual syncing to automatic uploads. Without backing up your photos, you’re at risk of losing them. This much is obvious. Phones and tablets are stolen every day. We’ve previously given you advice on how to avoid this happening, from keeping your device hidden while you’re out Don’t Be A Victim: Practical Tips To Protect Your Smartphone From Theft Don’t Be A Victim: Practical Tips To Protect Your Smartphone From Theft Considering the cost of a new smartphone, most of us are extremely casual about how we treat them. But keeping tabs on your smartphone isn’t difficult. Keeping it safe from the possibility of theft is... Read More and about to using tracking software like Prey Use Prey & Never Lose Your Laptop Or Phone Again [Cross-Platform] Use Prey & Never Lose Your Laptop Or Phone Again [Cross-Platform] Here’s the thing about mobile and portable devices: since they aren't tethered to anything, it’s almost too easy to lose them or, worse, have them stolen from right under your nose. I mean, if you... Read More to hopefully recover your device. Smartphones and tablets also break, however, and while there may be a chance of recovery, if the tried and tested methods of replacing a broken screen The Guide To Replacing a Damaged Mobile Phone Display The Guide To Replacing a Damaged Mobile Phone Display If you have damaged the screen of your mobile phone – perhaps you dropped it or sat down while the device was in your pocket – you’ve immediately given yourself a headache. Can the phone... Read More or saving a device dropped in water How To Save A Wet Cell Phone Or Tablet How To Save A Wet Cell Phone Or Tablet I’ve got bad news for you. Dropping your phone in a puddle of water, bath, sink, toilet – even getting caught in a heavy shower – will leave it irreparably damaged. The same goes for... Read More don’t work then your photos are lost. 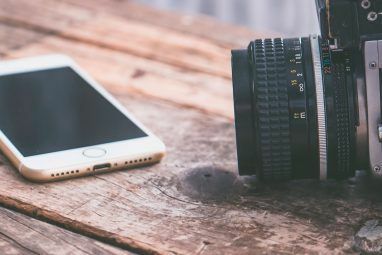 To keep hold of your photographic memories, you’ll need to setup some method of regularly syncing to a central storage, perhaps a server or a PC. When using a cloud account to sync your photos, you’ll have the option of doing so via WiFi or mobile Internet. Unless you have an extremely generous mobile Internet package (and haven’t abandoned it in favour of widespread public WiFi Save Money On Your Smartphone Bill: Cut The Mobile Internet Save Money On Your Smartphone Bill: Cut The Mobile Internet How much are you paying for calls and mobile Internet? Is your iPhone really worth that type of outlay? Do you use your Android tablet enough to justify paying over $50 a month? Read More ) then you should ensure that the method you’re using only uploads over WiFi. This will ensure that mobile Internet bandwidth remains unaffected by photo syncing, which can quickly mount up if you’re snapping a lot of high resolution or even HD photos. Smaller resolution images will have a lesser impact, of course. Of course, if you’re manually syncing via USB to your PC, then this shouldn’t be a problem, although the higher the resolution, the bigger the file size, so speed will be impacted. To back up photos to your PC (Windows or Linux) the answer is to connect a USB cable (preferably the one that shipped with your phone or tablet) and copy manually using the file browser, where you should see your device listed once connected. On Android, a notification should appear, confirming that the device is connected and asking you to select between MTP or PTP. The latter option is intended for digital cameras, and focused on transferring images, so you can select this. Photos on your Android device will typically be found in the DCIM folder, so browse to this and drag the contents to your computer to back them up. Once this is done, you have the added benefit of being able to delete them from your camera, making extra space (although other methods for making storage space on an Android device How to Free Storage Space on Your Android Device How to Free Storage Space on Your Android Device If you've run out of storage space on your Android phone or tablet, we can help you free it up. Read More can be used if this is a problem). Mac OS X users will need to use the Android File Transfer app to copy data from an Android device to their computer How to Transfer Files Between Android and Mac: 7 Easy Methods How to Transfer Files Between Android and Mac: 7 Easy Methods Need to transfer files between your Android phone and Mac computer? Here are simple ways to move data between those platforms. Read More . Depending on your phone manufacturer, software may be available for you to use that will automatically sync your photos to your PC. HTC, for example, provides such software, although it can be sluggish, so you may prefer to sync manually. If your phone has a microSD card, and your user data is stored on this, then ejecting the card and placing it in your computer’s card reader (with the help of an SD card adaptor) will enable you to backup photos from your mobile device in the absence of a USB cable. Manually backing up is useful, but it makes showing off your photos a little difficult. The answer to this, and making backups automatically, is using the sync features of cloud storage apps such as Dropbox. Various apps are available that will automatically sync your photos to the cloud, some of which we featured previously 5 Tools to Sync & Auto-Upload Photos from Android to Cloud Storage 5 Tools to Sync & Auto-Upload Photos from Android to Cloud Storage Nothing is more convenient than taking a photo on your phone and automatically having it be backed up to the cloud. Read More . If you’re not already using Dropbox, this is probably the best option. Once setup, it will sync photos (videos are optional) to your cloud storage, where you can retrieve them later on a desktop computer or any other device with the app installed. For those that use Google Drive over Dropbox, the free Gallery Drive Sync app is the best option, enabling you to manually sync your snaps to Google Drive. Many prefer this solution to the Google+ method. The Google+ auto-backup tool for photos can be activated by launching the Photos app and opening Menu > Settings. This native Google option will automatically upload your images and set them as private by default, with a choice of Wi-Fi only or a mix of Wi-Fi and mobile network for uploads. OneDrive, Microsoft’s cloud service which offers a starting capacity of 15GB for new accounts, has a very useful Android app with support for automatic photo and video syncing. 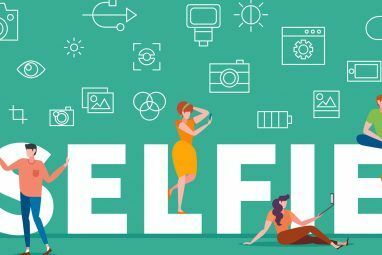 The Camera Backup tool is free and runs in the background, with a choice of uploading via WiFi or mobile Internet connections. With one or more of these methods of backing up photos from your mobile device applied, you can be confident that you’ll never lose a holiday snap or happy memory again. Do you use any of these methods to back up your photos? Have you found a different app or system that works better? Tell us in the comments. 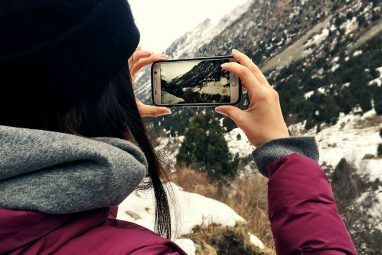 Explore more about: Smartphone Photography, Wireless Sync. FolderSync and GoodSync are really nice for automation. Backup and delete automatically. If you buy your phone from a retailer that provides a SmartIO license, your life is so much easier. They just configure your phone for like a minimal cost and can recover your content....pictures, contacts and messages included, even if your phone screen breaks. I remember signing up for it as a passing thing, because I purchased like a $700 phone, and they were charging like $15 dollars more for data insurance. I was like wht the hell...I'll just do it! BEST. DECISION. EVER! I broke my phone screen like a few months later and took it to them. I was like....deliver dudes! And damn, did they deliver! They didn't even have to backup my phone data on the cloud or another server anything. They just restored everything on my other phone, and everything was up-to-date! You can download the app to transfer content, I guess. But only the shop guys can actually do the recovery thing. T'was pretty swell! TorrentSync is a great value app, and so easy to use. But does it only sync phone DCIM folder? only files? How do you handle images metadata, which you add manually in the android gallery app, such as categories, tags, libs, location ? TorrentSync is what I use. Haven't touched generic cloud providers in awhile now. Google+ is a great option for free on automatic backup. So is Flickr with 1tb for free. Dropbox, Onedrive and iPhoto all cost space by contrast. Don't use a cable to manually backup. There are many wireless options you don't mention. I use Filesync to sync automatically to my computer when I get home. Es file manager for manual transfers to cloud or local computer. Is it wrong to say Picasaweb ... glad its still an option. 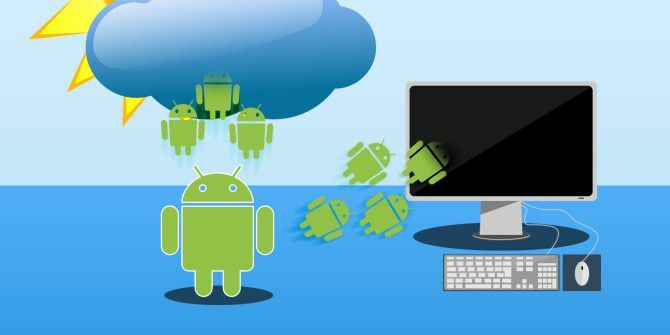 Need to Access iCloud on Your Android? We Can Help!